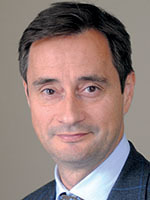 Robin Niblett is Director of Chatham House, the London-based Royal Institute of International Affairs. You may follow him on Twitter @RobinNiblett. War and instability have been endemic throughout most of European history. Even the peace that reigned across the European continent in the post-World War II era, from 1945 to 1990, was purchased with the price of one of the most elaborate and expensive military stand-offs known to man, involving over one million troops arrayed on either side of the Iron Curtain, on high readiness and backed by an escalatory ladder of nuclear weapons. The end of the Cold War has been interspersed by vicious, yet localized, conflicts that followed the break-up of Yugoslavia and along the borders between Russia and its former empire to the south and east, specifically in Georgia and Ukraine. And yet, almost all of the new generations of Europeans born after the fall of the Berlin Wall have lived not only in peace, but free of the fear of conflict for their entire lifetimes. As a result, European military budgets have been in steady decline ever since, while conscript armies in Europe have become things of the past. Over the last two years, however, security has been reacquiring some of its old primacy in the minds of European citizens and their governments. This time, the orbit of European security is being stretched between two gravitational forces: rising political-military competition with Russia and new risks to domestic security from the widespread instability in the Middle East.The civil war in Syria, in particular has exposed Europe’s vulnerability to massive flows of people; it has also allowed the violent ideology of Daesh to extend into disaffected pockets of individuals within European communities. and also, in different forms, from Ankara and Cairo, in order to have the necessary resources and political capital to face the dangers to domestic security from terrorism and instability in the Middle East. Such a trade-off could pose its own dangers for European security in the long term, exposing in particular structural divisions and insecurities between European nations. This essay argues that European countries need instead to take on greater responsibility for their regional security, including conventional regional deterrence. This will give them the geopolitical platform from which to better manage the new domestic threats to their security. The latter cannot be purchased at the expense of the former. When American political scientist John Mearsheimer wrote his seminal article in International Security in 1990 about the likely return to inter-state competition and possible conflict in Europe after the end of the Cold War, he had in mind the resurgence of conflict between the old war-horses of Western Europe: a newly united Germany and an increasingly insecure France. In fact, Western European governments were able to avoid repeating history, and used the two main institutions that they had relied upon during the Cold War—the European Union and NATO—to cement an integrated approach to their post-Cold War security and prosperity. The enlargement of both Brussels-based institutions to the former members of the Warsaw Pact enabled Central European countries to make their transitions to liberal democracy, and extended the zone of political pluralism and market economies eastwards—to the collective benefit of all EU countries. But this effort to extend prosperity and security beyond the EU’s borders has been both incomplete and unbalanced. It is incomplete because it has yet to extend fully to the Western Balkans: to Serbia, in particular—a critical and strategic crossroads between Europe’s west and east. It is also incomplete because it has proved impossible to integrate Russia, Belarus, and Ukraine into a zone of shared security with the rest of Europe. While countless papers and books have explored the roots of this failure, the fact is that the spread of NATO and the EU to the east, combined with the reassertion of authoritarian government in Russia, have together fed the historical paranoia of Russian leaders that they are under threat and that the countries on their western borders need to be controlled politically, if not physically. The most dramatic event in this growing stand-off was the Russian annexation of Crimea after the overthrow of President Viktor Yanukovych in February 2014, along with the subsequent deployment of Russian Special Forces and military equipment into Eastern Ukraine in order to prevent a consolidation of a newly-installed Western-leaning government in Kiev. This accelerated what was already a gradual hardening of the borders between Russia and its European neighbors, with Russia in the midst of a major military modernization. These modernization efforts notably include upgrading Russia’s capacity for large-scale, rapid deployments, and undertaking a series of highly provocative military exercises and maritime and aerial probes to test European defenses. Their purpose is to project political pressure on Europe and to reassure Russians about the country’s physical sovereignty. European nations have belatedly responded with an intensification of their own exercises, a NATO Readiness Action Plan at the summit in Wales in 2014, and a commitment at the 2016 Warsaw summit to sustain a persistent rotation of forces in their eastern members so as to deter any more serious Russian provocations. This stand-off has been exacerbated by a concerted Russian strategy of ‘active defense,’ involving propaganda, information warfare, and cyber attacks; and by Western responses, including, most notably, the imposition of sectoral economic sanctions following Russia’s annexation of Crimea and its active involvement in supporting separatists in the Donbass later that year. There is now a risk that Europe is indeed going ‘back to the future,’ even if this future is different than the one that John Mearsheimer had predicted. An East-West stand-off with echoes of the Cold War is reasserting itself across Europe. Yet the attempt to enlarge Europe’s zone of prosperity and security has also been unbalanced. While Europe’s initial focus in 1990 was, understandably, on Europe’s eastern region, efforts were soon made by leaders in Paris, Rome, and Madrid to turn the focus south, to North Africa and the Eastern Mediterranean. Initiatives such as the Barcelona Process, the Union for the Mediterranean, and the European Neighborhood Policy were all designed to better integrate Europe’s southern neighbors with Europe and each other. All these initiatives, though, had two fundamental flaws. First, the neighboring governments did not see them as agents of necessary political transformation, but rather as a means to expand opportunities to create economic wealth while sustaining existing structures of centralized governance. Second, the EU and NATO lacked the political leverage to help promote structural change as they had in Europe, because the extension of membership of either organization to Middle Eastern countries was never on the table. The result was that these initiatives made little impact. Instead, Europe’s southern neighbors continued their relative economic decline, as their governments failed to reform in the face of economic globalization, while their populations exploded in size. Then, in 2011, a popular uprising against the lack of personal opportunity and corrupt, repressive systems across the region spread like wildfire, overthrowing governments in Tunisia, Libya, and Egypt; unleashing a devastating civil war in Syria; and creating the space for the rise of Daesh. While governments have fought back to regain control, the Middle East of 2016 is in a far more precarious situation than that of five years earlier. Libya lacks a central government and is suffering from an ongoing civil war, domestic terrorism is undercutting the economies of Tunisia and Egypt, and there is no end in sight to the violence raging across Syria. The region composed of North Africa and the Middle East has also become a major new source of danger for European security. Daesh is determined to spread its ideology and violence into European cities via the internet and all manner of terrorist attacks. At the same time, the countries of North Africa no longer serve as a cordon sanitaire capable of holding back from the shores of Europe the growing number of refugees and economic migrants escaping violence and endemic poverty in sub-Saharan Africa. Suicide and other terrorist attacks have struck France, Germany, and the United Kingdom, while returning fighters from Syria constitute a ‘fifth column’ in many European cities. Fears over further radicalization of European nationals are exacerbated by the danger that European societies will be incapable of integrating the 1.2 million refugees, asylum seekers, and economic migrants who fled poverty and violence in 2015. Even more worrisome for some is that some proportion of this number will add to the already substantial pools of potential terrorists and sympathizers that European domestic security services must keep under constant surveillance. European security in 2016 is teetering unsteadily, therefore, between two forces: a renewed stand-off with Russia and a highly unstable Middle East that is projecting new threats into European societies. European countries were badly prepared to deal with both of these challenges when they first emerged. And, rather than coalescing to confront these threats, they are now fragmenting politically and dividing between each other, with the added uncertainties of ‘Brexit’ and post-election U.S. foreign policy. The twin external threats to European security could not have arisen at a worse time. Europe as a whole has yet to fully recover from the effects of the global financial crisis. The future path to stability for the Eurozone is a matter of deep contention, while budget deficits remain high among the EU’s weakest economies and levels of public debt continue to mount across Europe. A hardening of the divide between the more competitive northern European economies and the still vulnerable southern ones remains a plausible long term outcome. At the same time, decisions on European energy policy, and especially on pipelines bringing oil and gas into the EU, appear to reflect an increasingly competitive mindset, sowing mistrust between governments that are already dividing increasingly between economic creditors and debtors. Under these pressures, the decisionmaking process within the EU is becoming increasingly intergovernmental, not only in the field of foreign and security policy, but also in traditional areas of EU competence. These include issues such as trade policy, with the larger states dictating to the smaller, and the notion of shared risks and opportunities receding into the background. The scope for common, strategic thinking is limited further by the growing political instability within European nations. The rise of populist parties is making it ever more difficult for European governments to develop coherent responses to the new European insecurity. These populist parties have been on the rise in both big and small states alike ever since the onset of the financial crisis. Established parties, in the meantime, are struggling to communicate a credible vision for the future, having failed in most cases to foresee the crisis in the first place. The wave of refugees and migrants that washed over Europe in 2015 has compounded this situation. The disjointed performance of national governments—and of the EU collectively—has added to a popular sense that leaders do not have answers to the problems facing Europe, and, thus, that they cannot deliver the levels of control their populations expect. This has added fuel to the populist parties’ fire, and further exacerbated divisions between EU governments that were unprepared for the inflows and that are now struggling to share the near-term burdens they entail. 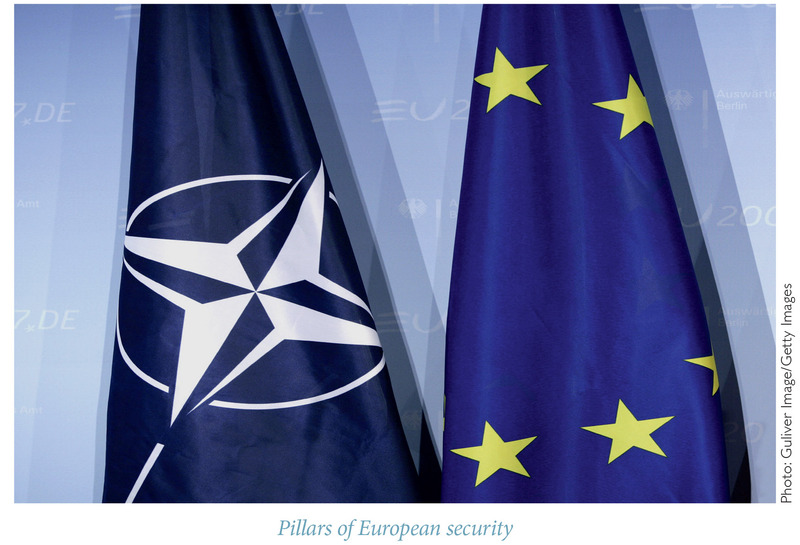 All in all, it appears that policy­makers have too much on their plates right now to think strategically about the changing nature of European security. Putin has correctly sensed Europe’s weakness and now sows discord wherever and whenever he can. He is reaching out to dissatisfied Central European governments and highlighting the costs of the EU’s sanctions policy, while Russian news outlets feed fictitious or embellished stories about the failures of European governments to their citizens. European nations have a history of muddling through crises of this sort. But there are two additional risks to European security at this time, which make the future harder to discern. The first is the fallout from the British referendum decision on June 23rd, 2016 to leave the EU. The second is the growing popular and political frustration in the United States, as its citizens begin to question the costs of playing the role of leader of the transatlantic community and the broader Western alliance. The precise shape of the future UK-EU relationship is impossible to predict with any degree of certainty. What is almost certain, however, is that there will be no going back on this decision in the near term, and that Britain will indeed leave the EU in the coming years. The core principles behind the majority decision to leave include reestablishing the sovereign power of the British Parliament over all national policy and regulation; the ability to control the movement of workers into the UK from the EU; and the right to strike its own bilateral trade deals with third-party countries. The implication of these principles is that the UK will cease to be a member of the EU’s single market and customs union. More importantly, from the perspective of this essay, a post-Brexit UK will view itself as a more free agent on the world stage, especially in the field of international economics and trade. Britain’s political leaders will be under pressure to show that they can negotiate better deals with the United Kingdom’s trading partners outside the EU than they could by remaining a member. There is a significant risk of mercantilist competition in the future between the UK and EU over trade, regulation, and taxation. These dynamics could easily affect one of the main tools of the EU’s foreign and security policy, which is the use of economic sanctions against countries whose policies the EU either wishes to change or punish. The remarkable consensus across the EU’s 28 member governments to impose sanctions on Russia in 2014 may prove harder to sustain in the coming months and years. British and EU policymakers will likely try to avoid this sort of negative outcome by sustaining current practices and, if necessary, creating new mechanisms to ensure that close levels of cooperation continue after Brexit in the areas of counterterrorism, gathering and sharing intelligence, and fighting organized crime. As a leading member of NATO, the United Kingdom will also continue to be a central player in strengthening the European contribution to deterring Russian military pressure and helping deal with crises around Europe’s periphery. But it will take great diplomatic skill and political goodwill to prevent Britain’s decision to leave the EU from further weakening the political cohesion of Europe as whole, particularly in the face of a more dangerous security environment. Adding to this complexity is the ongoing shift in American perceptions about its own security interests. The Obama Administration’s foreign policy has been characterized by three principal objectives: a determination to disentangle the United States as much as possible from costly and fruitless military engagements in the Middle East and Afghanistan; a desire to reset the bilateral relationship with Russia; and rebalancing America’s international engagement proactively towards the Asia-Pacific region. Despite its efforts and the success of signing a deal to control Iran’s nuclear program during the next 10 to 15 years, none of these three objectives have been successfully achieved. This is partly because they are enormously difficult objectives, and partly because the governments that needed to partner with the United States in achieving them have proven to be either incapable or unwilling. But the failures of the United States also reflect a deeper problem—namely the fraying popular and political consensus that America should serve as the global leader of Western security. The United States has been no less immune than its European partners to the popular anger at stagnating median wages. For America, there is also a deepening unwillingness to pay the costs of leadership—whether in striking trade deals that benefit allies as much as, if not more than, the United States itself; or in continuing to spend billions of dollars on sustaining bases, troop deployments, and military modernization—all of which has little direct impact on the welfare of America’s citizens. It is hard to predict how European leaders might balance the twin risks of a growing stand-off with Russia and the threats from an unstable Middle East, all while coping with the rise of populism, Brexit, and a disenchanted United States. But there will certainly be a growing temptation to try to find compromises with Putin and other authoritarian non-European neighbors. This could free up the time, resources, and political capital necessary to be able to focus on the growing threats to Europe’s domestic security from terrorism and uncontrolled migration. There are a number of ways in which European leaders might try to undertake their own reset of relations with Russia in the coming months. The most obvious is by easing the sectoral economic sanctions that the EU applied in response to the Russian interventions in Eastern Ukraine, while leaving in place the less significant targeted sanctions applied in response to the annexation of Crimea. But, if such a step were to be taken without Russia acceding to its half of the bargain struck in the Minsk II agreement in February 2015—principally by returning the Ukraine-Russia border to full Ukrainian government control—then European nations would have proved they are powerless to respond to future aggressions in a meaningful manner, short of a military response. If the EU sanctions regime were to be lifted unilaterally, this would act as a signal that national European countries are free to take a more self-interested policy approach towards Moscow in the future. This would compound the already fractious relations between various EU capitals. For example, the Poles might assess more skeptically the benefits accruing to French companies from new Russian contracts. Likewise, Italy and Balkan EU members would wait anxiously to see whether the European Commission approves the second planned pipeline bringing Russian gas to Europe through Germany, and whether it continues to block the South Stream alternative. In the meantime, the United Kingdom will be reassessing its own trading relationship with Russia and will take a lead from EU decisions. Similar dynamics would apply to European relations with Egypt and Turkey, where President Abdel Fattah el-Sisi and President Recep Tayyip Erdoğan are also focused on building bilateral bridges with European capitals, so as to shore up their domestic positions without having to necessarily meet the expectations and obligations set in earlier negotiations by the EU as a whole. For European governments to prioritize stabilizing their near-term national diplomatic and economic relations with their neighbors over Europe’s long term strategic goals would be counter-productive. It would deepen already profound levels of mistrust between European capitals, sharpening the insecurities in central European and Baltic regions, raising fears of the further growth of German economic power, and leaving France to wonder how it can balance Germany’s diplomatic weight at the heart of Europe. The emerging sense that the EU is a community of winners and losers, rather than a community of common interests, would lead to the return of a more balance of power approach to European security—an approach which has always ended in tragedy. And the United States, which remains highly skeptical of Russian intentions whilst also recognizing that it needs Russian support for many of its international priorities—including Syria, Iran, and Afghanistan—might choose to let Europeans take the lead in sustaining the conventional deterrence against future Russian aggression. In the meantime, the United States could retreat into a more defensive position, under which the weight of American support for Europe rests with its nuclear deterrent—an instrument only of the very last resort. The alternative, if harder, approach would be for European leaders, including those in London, to sustain a coordinated strategy toward Russia. After all, Russia depends more on Europe for its economic security than vice versa. Energy may serve as an umbilical cord that feeds in both directions, but the energy sector is critical to the Russian economy as a whole, whereas Russian energy is critical only to specific EU Member States. For this approach to succeed, however, there are a number of provisos. It is essential that the EU and UK strike a deal that allows the latter to continue to contribute to the EU’s Common Foreign and Security Policy. It would also be all the more imperative to break down the obstacles to cooperation between the EU and NATO, given that NATO will need to serve as an even more important bridge linking not only the United States, but also a post-Brexit United Kingdom, to the European Union. This would ensure that allies can offer a full spectrum of tools for their security—from policing and border monitoring, to air surveillance and maritime interdiction. And it would be important for all European governments (including the United Kingdom’s) to reassure the United States about their respective commitments to their own security by adopting policies that sustain recent growing investment in military capabilities, readiness, coordination, and interoperability. Neither course is cost-free. But, then again, achieving security is about making the right trade-offs for the long term.